"Excellent service. Keep it up!" "I got a call from FnP regarding discounts. Great thing to do!!!!" "Just i am loving Ferns N Petals"
"It has always been a great experience with fnp"
We can help you send flowers to any place you want, without keeping you waiting for too long for the delivery. If you need to send flowers to Patna, you can rely on us without a hesitation. You will come across an impressive selection of flower bouquets meant for different purposes. 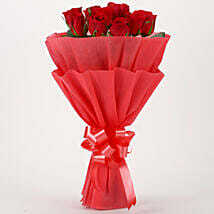 Sending flowers to Patna is a matter of few hours for us and we also provide free home delivery. Thus, you are not required to pay extra for the delivery of the flowers. 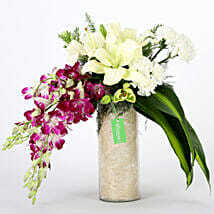 Flowers being organic gift items are prone to wilt if delivery takes too ling. Thus, we ensure that the flowers are delivered before it is too late. 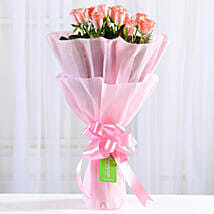 The person they are intended for would receive the bouquet fresh and beautiful. While delivering the flowers we ensure that the best care is taken to keep the bouquets unaffected in the process. Send flowers to Patna without a worry, as we take care of everything from preparing the bouquet for you to sending it to the address provided by you. You can buy customised gift items from us like cakes, photo frames or mug and have personalised messages engraved on them. You can also send chocolates and flowers along to make it bigger. You can also have the products you purchase sent to your desired destinations. We offer an impressive collection of flower bouquets and flower bunches online, each of which has been carefully sorted by expert and passionate florists. 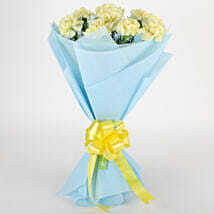 Also, Send Birthday Flowers to Lucknow using our express delivery services to ensure faster shipping. 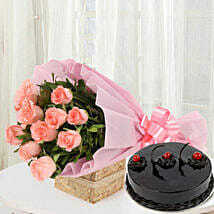 You can also send gifts within a day with our same day gift delivery services. Send flowers to Patna and revitalize your relationships. Online gifts delivery is a god sent for that birthday or anniversary you could not attend. 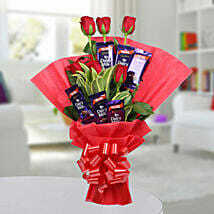 Roses with chocolates say it all. Make special events even more spectacular when you gift roses and chocolates to your loved ones. 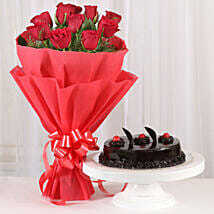 Roses are an expression of true love and chocolates enhance the feeling of love. Show your love, romance, care and affection in a unique manner with our midnight delivery services by gifting this bouquet of delicate pink roses nicely wrapped with lots of fillers and dries, along with Ferrero Rocher chocolates from Ferns N Petals. The contrast of textures is very pleasing indeed. Elegant and sweet is an exotic combination of Himalayan lilies and rich and creamy chocolate cake. Both are sensual and rich and very soothing. Uplift the mood of your loved ones with this awesome gift. Let the chocolate cake sweeten your relationships.Unlimited love is symbolic of a love that knows no boundaries. It is a 3 to 4 foot tall arrangement of a profusion of red and yellow roses that are very memorable. Our online gifts delivery will convey your love with feeling. Q:- I Want To Surprise My Sweetheart In Patna Right Now With Lovely Flowers – Is That Possible? Yes, you can do that by opting for our same day flower delivery service in Patna. We accept the same-day flower delivery service in Patna till 4 P.M.
Q:- I Want To Surprise Someone Special In Patna On His/Her Birthday At 12 A.M., Midnight With Flowers – Can You Guys Help Me? Of course, we are here to help you with our special midnight flower delivery in Patna. Place the order by 8 P.M. to surprise your “special someone” right at midnight. Q:- Do You Guys Offer A Fixed Time Flower Delivery In Patna? Do You Guys Offer A Fixed Time Flower Delivery In Patna? Q:- Can I Get The Beautiful Flowers In Patna At Early Morning Hours? Of course you can get the early morning flower delivery in Patna. All you have to do is just place the order 4 hours before the time of delivery. For example, if you want the order at 6 A.M., then the order has to be placed by 2 A.M.
Q:- How Much Do You Charge Extra For The Special Midnight, Same-Day, & Fixed Time Flower Delivery In Patna? How Much Do You Charge Extra For The Special Midnight, Same-Day, & Fixed Time Flower Delivery In Patna? Q:- What If I Don’t Want To Pay Anything Extra, Then By What Time Can I Expect A Flower Delivery In Patna? In case you don’t want to pay anything extra for the midnight, same-day, or fixed time delivery services, then your order is eligible for a Standard Time Flower Delivery Service in Patna. So, as you select your favorite floral gifts, our system would show you the monthly calendar and you can select your preferred date and time on which you want the flower delivery in Patna. After that, you would be shown the time slots and you have to choose any one of them. 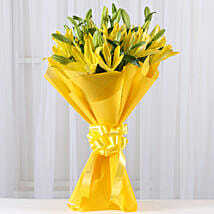 Q:- How Fresh Would Be The Flowers That I Have Selected To Surprise Someone Special? We guarantee you a fresh flower delivery that you have opted for someone special. We provide only the farm fresh or garden fresh flowers that are tied into bunches, bouquets, and arrangements. These unique floral gifts would remain fresh for a longer time if you follow our care instructions properly. You can trim the stems and add water and then re-cut 1 to 2 inches of the stems at a 45-degree angle. Always use a clean vase and clear water and remove the leaves below the water line. Check the water level regularly and change when required. One very important tip to keep the flowers fresh for a longer time is to mist them daily. Also remember, not to place the flowers near direct heat or sunlight. Planning for a Way Out, to Send Flowers to the Exact Area in Patna?